Children are creatures of routine, craving the familiar and known. The countless changes often brought on by divorce can have a profound effect on their emotional well-being. When children have to move to a new home and school as part of a divorce, these changes are even more profound and affecting. Not only is the child losing daily contact with both parents and the comfort of their home, but they’re also losing their friends and the school activities they’ve enjoyed. 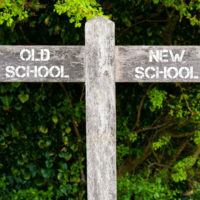 If you’re considering moving your child into a new school after your divorce, read on to learn more about the ways this change can affect children, and how you may be able to make the transition easier on kids. Children often feel frustrated at their lack of control over the changes occurring in their lives as the result of the divorce. Make sure you provide your children with an opportunity to express how they feel about the changes that are happening. As much as possible, let them have input into the decisions you make regarding their schooling. While you may not be able to give them what they want, it can help for them to know you believe that their opinion is valid and important to you. When making decisions on child custody, New Jersey family part judges seek to make choices that are in the best interests of the child. Often, allowing children to remain in their current school is seen as being in their best interests. If one parent plans to relocate while the other remains in the child’s school district, the parent who remains local may be awarded residential custody as a result. Keep this fact in mind as you make decisions about where you’ll begin your life as a single person. Making friends in a new school can be challenging for children, especially while they might be feeling depressed or anxious about their home life. Look for opportunities for your kids to connect with new friends, such as by enrolling them in after school activities or teams, and be sure to set up playdates with friends from their former school to help them feel less isolated as they find their footing in a new place. If you’re planning to file for divorce in New Jersey, get help from a dedicated, experienced, and compassionate attorney by contacting the Union family lawyer John B. D’Alessandro for a consultation, at 908-964-0102.